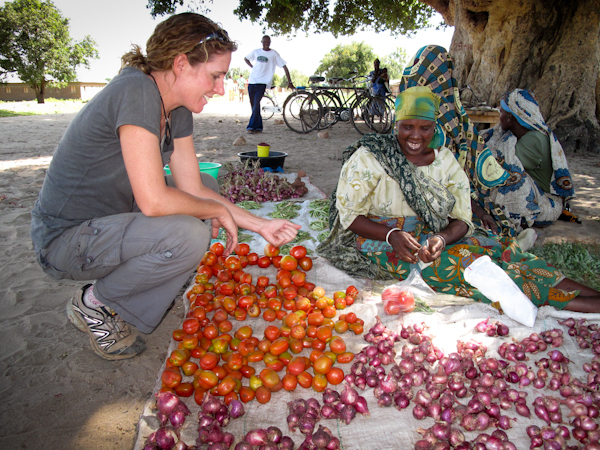 Around the colossal baobab tree mamas in bright kangas sell tomatoes and red onions while the village elders gather seeking shade. A scattering of chinese rusted bicycles perched up on stands lean into one another. School girls in frayed uniform skirts of green and blue run past. Heads turn as the white land-cruiser explodes through a cloud of dust, I wonder what we look like to the unassuming villagers. Amiri is first to address the crowd. Wise and driven beyond his years, with a passion for his people and a disarming, quick wit, he eases the crowd and summons welcome for the rest of our team.Long and formal greetings are expected in Tanzania, anything short is considered rude and ill mannered. “Shikamo” is reserved for elders, Jambo and Mambo are next, “Habari za nyumbani, za asubuhi, za yako?” translates to “what’s the news of your family, your morning, you?” We are greeted by each elder, returning the formalities. The crowd swells as word of our arrival circulates, Amiri’s words calm as they question why we want their disfigured children. With poor tracks to these distant villages, birth arrives in mud thatched huts without running water or electricity. Many newborns with facial disfigurements die, but the living few are hidden away in shame, often malnourished and kept from school. Without electricity, cooking pits smolder, scalding spills are frequent. Smeared honey keeps burns bacteria free, but the kids will retract from pain, joining burns and healthy flesh, leaving horrific skin contractures. 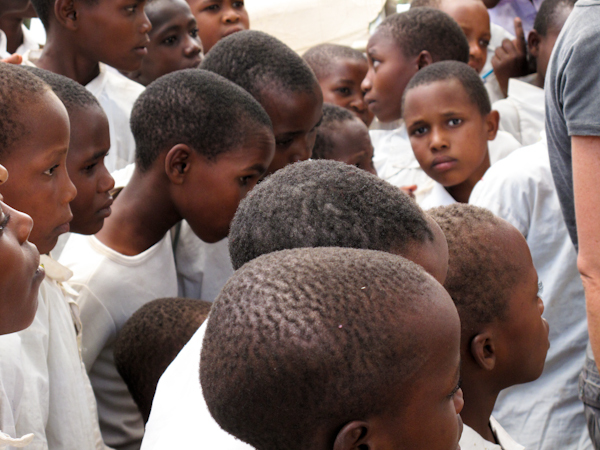 As our list for surgery grows, we hear of more children hidden away by their families. Who can blame them with a history of colonialism and slavery, pervasive witch doctors and tribalism, trust comes hard. Over a week, we cover hundreds of miles, stopping when rows of huts resembling a village appear. No maps or road signs, only the occasional cement blocks etched and painted with town names like Katesh, Haubi, Gogo and Bereko. The need is far greater than our means as adults turn up, seeking treatment: a young mother blinded by cataracts whose husband ran away, another with a goiter, a man with a vascular disorder turning his foot to mush. We touch them, listen to their woes, often scribbling a prescription on torn paper before turning back to the kids. All along the way, Amiri would skid to a stop as past patients would run out, smiling proudly, freed from their deformities. Embracing Paula, offering tears of joy and on this trip, three bound chickens. The absent rains leave blistered river beds, desolate burnt shrubs, a heaviness of heat slows everything down. 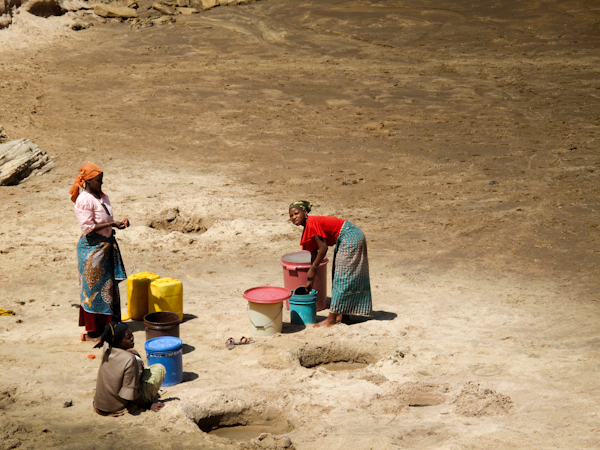 Under the merciless sun the dry river cracks, women dig deep into the bed, collecting any evidence of water. I am overwhelmed by their resilience as they carry buckets of water weighted with sediment. Driving slowly as herds of goats and cows cross the dusty road, a man shouts running towards the car, motioning us to stop. He has heard we help children and perhaps his son and daughter can benefit. She of fifteen has a major deformity of her right leg, while her younger brother has a severe cleft palate. Without hesitation, Bashari is placed on the surgery schedule, but Asha’s childhood knee injury is beyond repair. Instead, Paula suggests a vocational training program, there she might become a seamstress. 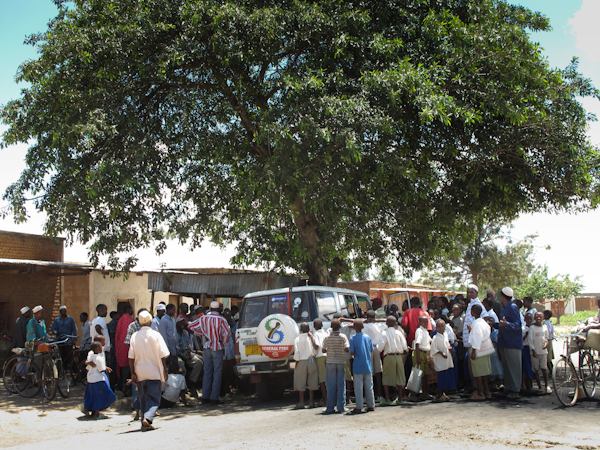 The next day, their father in tears, he hands his children over with one small bag of belongings. Bashari and his sister pile into the Land rover without a blink, there is no fear or resentment. I have the privilege of driving back the 9 hours with him curled next to me. Unfortunately, he speaks only the local dialect, of which I know none, but over the hours we bond nevertheless. His sister, overwhelmed by her first car ride, fares less well and vomits hourly until we return into the lighted, urban chaos of Arusha. At the hospital, I find him cross legged, starring peacefully out the window, his sister guarding his bedside; he looks over and smiles, taking the toy bus from my hands. In the operating theater, he goes under, always without fear or tears and I wonder what this little boy has seen in his four years. Hovering, I watch in awe as the transformation begins, from gross deformity to a beautiful nose and full, round lips. 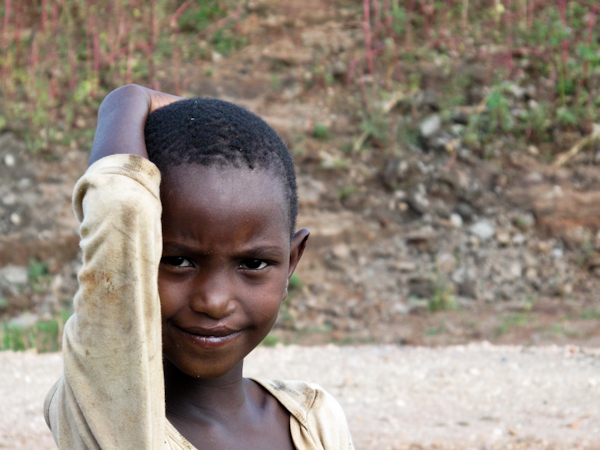 For the first time, when he returns to his village, Bashari can run with the other boys, laughing and playing soccer. No longer hidden away, primary school awaits. Such potential unlocked in this contented soul. We were invited to join Paula Gremley’s NGO, Mwangaza. 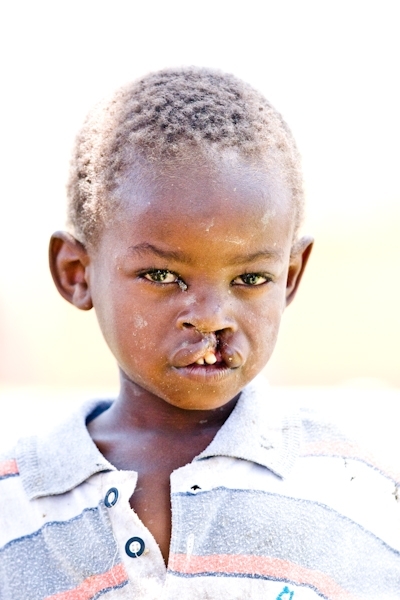 Our goal- to collect children with facial deformities and burn contractures from the remotest of villages and arrange surgery at Arusha Lutheran Medical Center (ALMC). There, a group of plastic surgeon volunteers from Colorado would begin intensive reconstructive surgery. Chris Murphy was the professional photographer, we are thankful to post some of his pictures. So great! Am sending it out to friends and family. Are you going to be part of Paula’s group??? I wonder about a new mascara and you and Jay are out there helping others. I bet you are not thinking much about yourselves now adays. How open and giving you guys are. I have become more humble since you started and continure to show us all that you see and learn and do everyday. Sounds like you have found a part of you that some people never are able to find and others who don’t want to find. You both are inspirational to me. Kudos on the website award. Even more kudos for taking the risk of leaving behind the comforts of USA to spread love and healing! Great work and from the looks of it great travels too. Makes Misako and I want to jump onto your cloud and join the journey! Maybe some acupuncturist would be welcomed for the next go? P.S. Sox are looking good in the early ‘throws’ of spring training!